Stay in Crete's best hotels! Featuring a seasonal outdoor swimming pool and free WiFi, Aloe Boutique & Suites is located in Almyrida. This 5-star hotel offers a fitness center. Proximity to beautiful sandy beach. Great pool and poolside loungers and daybeds. Inclusive of great breakfast. Super friendly and helpful staff. Featuring free WiFi and a seasonal outdoor pool, Menta City Boutique Hotel offers accommodations in Rethymno Town. Guests can enjoy the on-site bar and sunny roof-top breakfast area. Fantastic hotel, beautiful room, swimming pool and breakfast. The staff were brilliant. It is a short walk to the old town, with a bit of a hill on the walk back but nothing unmanageable. We were so well looked after throughout our stay, I cannot recommend this hotel more! I would definitely stay again. 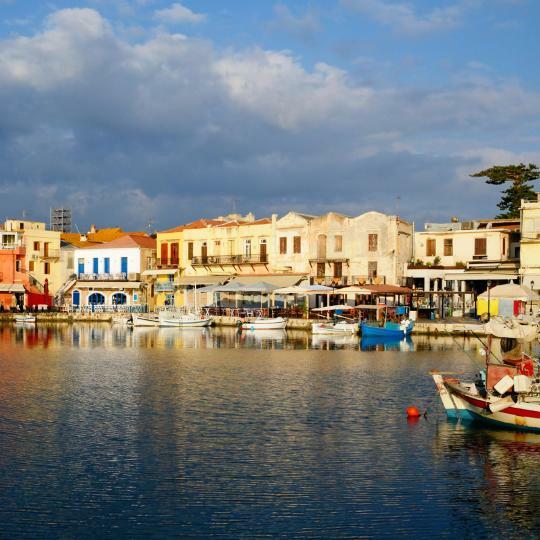 Central is set in Chania Town, 656 feet from Nautical Museum. Every room at this hotel is air conditioned and is fitted with a flat-screen TV with satellite channels. The location is perfect, very central to everything. Rooms are very clean and staff is great always making sure we are ok. Highly recommend it. Housed in a former Ottoman public hammam, Hamam Oriental Suites are set in Rethymno Town. Τhe sea lies within a 15-minute walk of the property, while Fortezza Fortress is just 820 feet away. Wow!! Coolest room we’ve ever stayed in. Big, comfortable, and as close to city center as you can get. You can see from the pictures that this hotel is very unique. And the breakfast was SPECTACULAR. Too much food, even by American standards. No private parking but we found a spot about 2 blocks away. Olive Green Hotel is centrally located in Heralkion, right in the lively shopping area of the town. The best thing to say was the whole place was amazing! 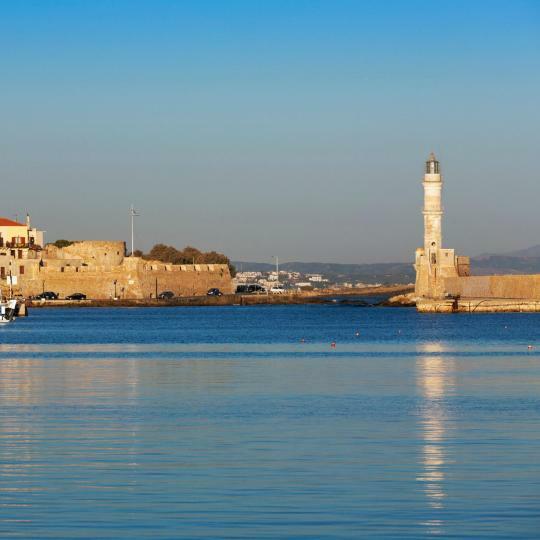 Offering views of the old port and the lighthouse, Domus Renier Boutique Hotel - Historic Hotels Worldwide is located in Chania Town, in the heart of the old Venetian Harbor, 328 feet from Maritime... Amazing kindness and service. You feel at home. Located in Chania Town, TheJoy Hotel is housed in a historic building offering air-conditioned accommodations with free WiFi. The Old Port is at a distance of 656 feet. We are generally very happy with our stay. Offering an outdoor pool and a snack bar, Omiros Boutique Hotel is in Rethymno Town, just 492 feet from the nearest beach. It features tastefully decorated accommodations with free WiFi access. The hotel is really well designed, to the last detail. Located at Chania Venetian Harbor, Ambassadors Residence is a restored 1890’s house. It features elegant and individually decorated accommodations with free WiFi. What a marvelous stay in the old Venetian Port of Chania. Ideally located inside the Old Town of Rethymno, Casa Dei Delfini is housed in an old Venetian- Turkish mansion. Rooms are all unique at this small, friendly hotel. Decorated with antique furniture, Casa Leone overlooks the charming Venetian Harbor and the 15th-century Faros Light House in Chania. This was one of the best hotels we have stayed in. Nothing too much trouble. Located on Ierapetra's seafront promenade, El Greco Hotel the 3-star hotel offers modern and spacious rooms and suites with balconies. The hotel restaurant enjoys views over the Libyan Sea. Breakfasts were great. Room was roomy. Located in the Venetian Harbor, right at the heart of the Old Town and 1640 feet away from the beach of Chania, Fatma Boutique Hotel offers stylish rooms with free Wi-Fi. The staff was wonderfully helpful. Location was perfect. Breakfast was terrific. Located in the heart of Chania, within 1476 feet from the Venetian harbor, the modern Samaria Hotel is ideally located just above the main square, next to the central bus station. Great breakfast, loads of choices quite a few sweet things and prosecco as well! This former Venetian lord’s house is located in Rethymnon’s Old Town. Avli Lounge Apartments offer charming suites, a rooftop terrace with hot tub and fine dining. Spectacular spot icrntrslly located. Accommodations were superb. Set amid lush greenery, in Akrotiri Peninsula of Chania, Monte Vardia features a seasonal, outdoor pool and a furnished sun terrace offering panoramic views of the Venetian Harbor and the Lefka Ori... This is a great family run hotel. The food would bring tears to your eyes, it was that good. Located in the center of Chania, Kydon Hotel is opposite of the main market hall and just a few minutes' walk from the Old Town and the Venetian Harbor. The breakfasts were excellent and so was the help we received with our car rental. Porto Veneziano Hotel enjoys a privileged location on the waterfront of Chania's Old Venetian harbor. Great accommodation, great location and fantastic view over the port. Would stay here again! Hotel Kriti is centrally located in Chania, at the meeting point of the famous old Venetian harbor and the commercial center of the city. Wonderful staff, perfect location, lovely hotel! Along with its Venetian Harbour and colourful market, the winding alleyways of Chania let you wander through architectural history. Phaestos was a major centre of the Minoan Civilisation and is where the famous Phaestos Disc was discovered. 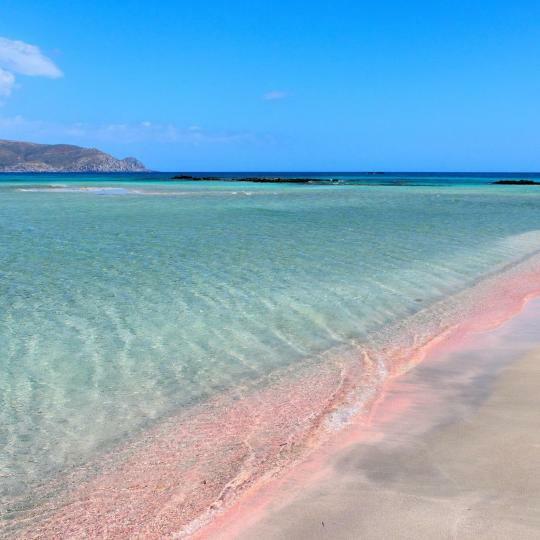 Endless beaches with unique pink sand, and out in the crystal-clear waters is the islet of Elafonissi. 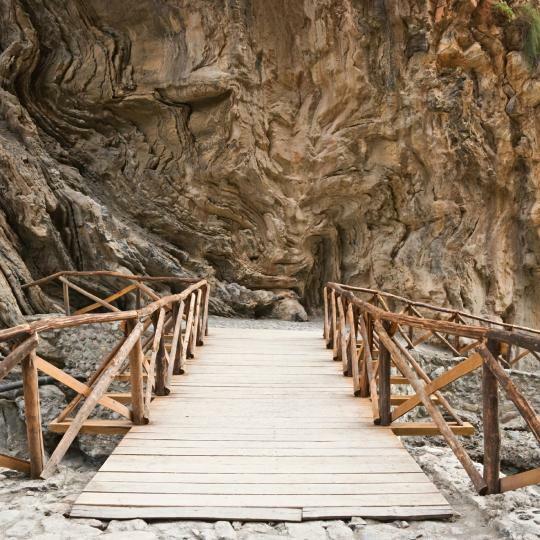 Extending from the village of Omalos right down to the Mediterranean, this gorge is renowned for wildlife and hiking. A breathtaking sight, at Preveli Beach you can experience natural spa pools. Falassarna's kilometre of fine sand and turquoise waters is just waiting to be enjoyed. 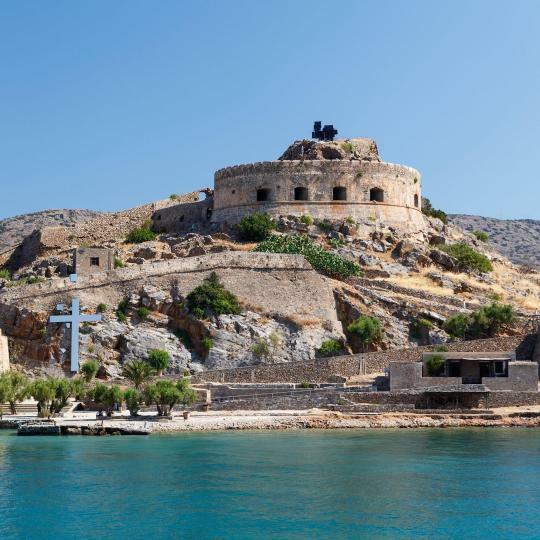 The Venetian fortress of Spinalonga Island was used as a leper colony during the first half of the 20th century. 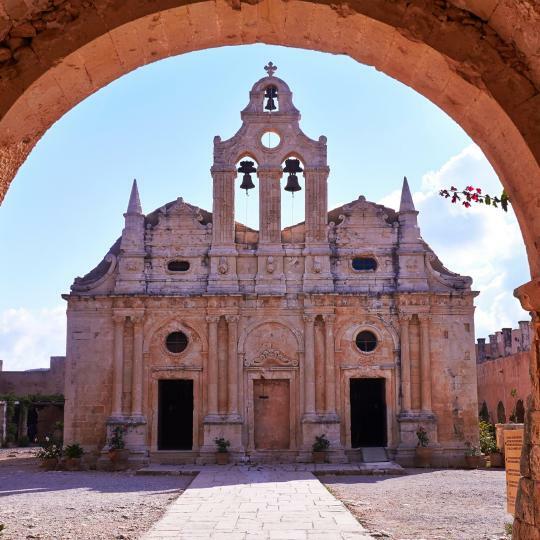 The 16th century Arkadi Monastery is a stunning piece of Renaissance architecture and symbol of resistance against the Ottomans. Walking around the narrow streets, from the Venetian Harbour to the well-preserved Fortezza Castle, definitely makes Rethymno worth a visit. 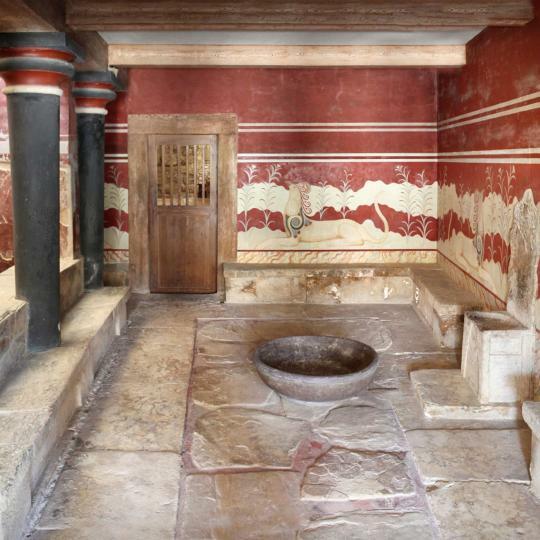 Knossos was the ancient centre of the Minoan Civilisation. Come and visit its colourful frescoes and maze of buildings. Our favorite leg of our time on Crete. Our favorite leg of our time on Crete. It was a great location to explore the western part of the island, with some of the major beaches (Balos, Elafonisi) at drivable distances from Chania. We also hiked Samaria Gorge, which we would definitely recommend. But the biggest surprise was how much we enjoyed the Old Town of Chania. Strolling around the Venetian Harbor was picturesque and lively, and at the end of our stay we found ourselves already trying to plan our next visit. I don’t understand what is special about this town. I don’t understand what is special about this town. It’s crowded, dirty, loud, pricey. I came mainly for Knossos and that was completely overrated. My least favorite city in Crete so far. I could’ve done without it. 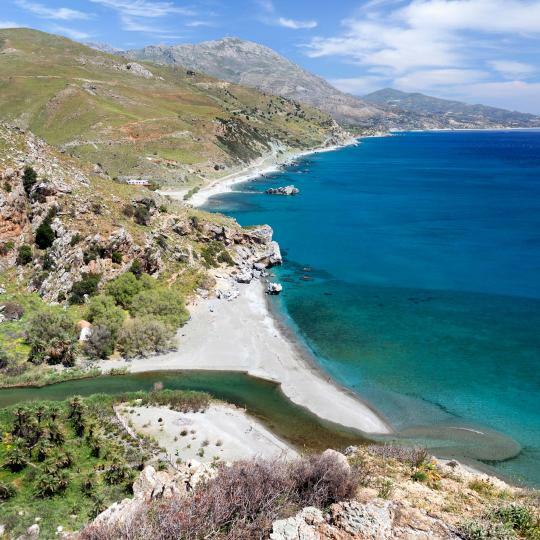 Crete is am amazing island with a very long history and many places to visit to learn about their history and to see the buildings left behind by the various civilizations who have lived there. Heraklion is situated in the center of the long and narrow island and that facilitates visiting all the interesting places in a day trip each. The people who live in Heraklion are friendly and hospitable, everyone we interacted with , and I mean everyone, spoke quite good English. Beautiful smaller city on the ocean with view of mountains. Beautiful smaller city on the ocean with view of mountains. I liked the waterfront restaurants and the shopping areas. Easy to walk around and excellent sea food. Bigger city than I thought it would be and if I had to choose between cities in Crete then I would choose Rethymno over Chania. Rethymno is similar to Chania but about 1/2 the population. Quiet and cosy, with a great beach and restaurants. Quiet and cosy, with a great beach and restaurants. My favorite place on Crete so far, I think. The Polifimos tavern was especially lovely — great food and vibe. 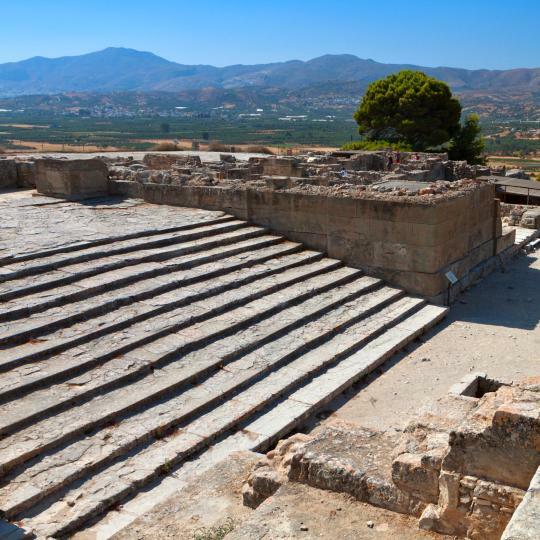 Great archaeological and Crete life museums. Great archaeological and Crete life museums. Wonderful old Venetian port. Good restaurants. Short bus ride to Knossos Palace. Lovely historic center. Impressive wall surrounding the historic center. It ended up being our favorite beach. It ended up being our favorite beach. Not as promoted as the others so we didn't plan for as much time there but next time we will definitely plan for a longer stay! The best fish tavern in all of Crete is at the light house, Captain Nicholas. Loved the style and feel of this boutique hotel. Super comfortable bed and playful artistic touches. We were only able to eat breakfast one morning during our stay, but they offered an amazing amount of well-prepared food in the courtyard, including crepes/pancakes filled with chocolate and bananas. Nikos gave us good advice about restaurants and exploring surrounding areas of Crete. While I had looked at other hotels closer to the water, we found Hotel Splanzia really well situated in relation to Chania's historic district. The staff is amazing, anything you can ask them, they are super friendly. The hostel is pretty close to the city center (10-15min by walking), but for me was 30 minutes minimum because I preferred to walked near the sea and I always stayed there for some minutes to enjoy the view. 😁 Another thing about this property is that they arrange some trips to the famous and beautiful beaches (like Ballos) in Crete since it is pretty hard to get there by yourself. The garden is really nice and you just want to spend some time there. Best place we stayed in Crete. Really nice and homey apartment with a great balcony and heavenly bed. Very friendly owner and staff who made us feel really welcome and they have great recommendations for trips or restaurants. Loved the wonderful garden; it's peaceful and beautifully diverse with flowers and plants. Amazing breakfast and homemade drinks and foods. Very short walk to the beach. Not too massive, the place only houses a couple rooms and guests. I would love to have a place like that myself. Family run hotel that is in a convenient location near the bus station. Crete has great bus service and it was easy to visit from Rethymno other parts of Crete. The owner, Stelios was amazing with his hospitality and he went out of his way to help us with anything that we needed. Very personable and down to earth. Pool was beautiful with a nice view of the sea, and there is a small beach area across the street from the hotel for swimming. All in all it was a great stay! What a wonderful property. The roof deck affords an incredible view of Chania. And Magnolia gave us the VERY best recommendations for a stay! It's centrally located. Parking can be hard, but Manolis directed us to a free lot a 5 minute walk away. The place feels brand new and is beautifully designed. It was so much better than staying at a big hotel. We loved it and would stay there again! It was like having a modern luxury apartment in the middle of Crete. Over all, I was very impressed by the Hostel: new, modern, artistic details, the cleaness, high quality of the bed and the linens, the very friendly staffs, the location, and so on... I usually do not use hostels to travel all over the world, however, “Cocoon City Hostel” in Chania, Crete, was the best of all amongst I have experienced them recently. “Bravo!” to the owner. I would like to come back there soon, as soon as possible, indeed. Thank you very much! This is a beautiful brand new hotel right on the water. The rooms were great and very clean, and there were always plenty of free lounge chairs at the pools and beach. Even though we were told the hotel was at full occupancy it didn’t seem like anyone was there. The staff were all very friendly and super helpful - especially Pela! I would definitely stay here again and recommend it for anyone looking for luxury accommodations in Crete! The staff is amazing and we felt that they were genuinely happy that we were there. They were also so accommodating to our needs and helped us so much to find the best beaches and spots in Crete. We also LOVED the restaurant of the hotel. We have eaten there for breakfast, lunch, and dinner. We are having Dakos withdrawals.. Their homemade rose Raki was the best too. We bought some for us to bring back. Stelios Penthouse is a gem in Rethymno Town, while you visiting Crete! Host is one of the friendliest people to meet, the apartment was stunning with a beautiful view to town and sea, only 5 min by foot to reach blue beach and the old town. It’s a must if you want to have a comfortable holidays with home feeling ! One word - amazing !!!! The people running the hotel are super friendly, polite and attentive. The breakfast is rich, fresh and tasty. We really enjoyed being there! Great value for money. 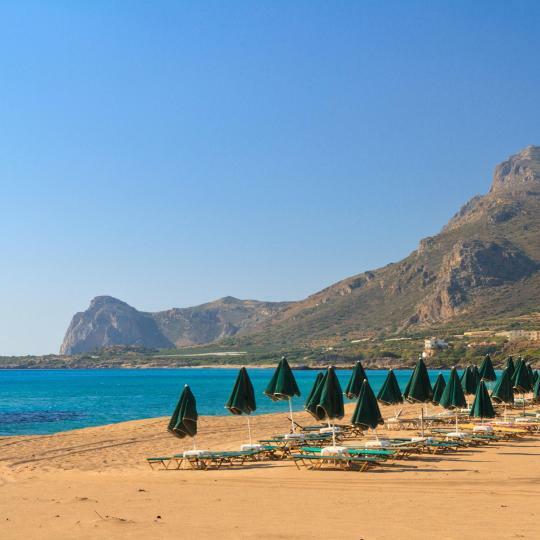 The hotel is located near some of the best beaches of Crete and close to Chania. Easy to find, big private parking space in front of hotel. A great modern,new, stylish hotel with fabulous pool, the best breakfast in Crete, the choice was large and homemade cakes delicious. The rooms very comfortable with great beds, linen, bathrooms. A good position within walking distance to old town, castle and waterfront. It was an unbelievable modern 3 Floor Apartment that makes staying in Hotels no longer seem worth it. The view was amazing and the neighbors were super friendly. I really cannot say anything bad about this place, best place I have stayed in Crete sofar. Yannis was very helpful in getting us checked in at 11PM. We arrived in Crete by ship which we did not know is a three hour drive to the hotel. The location is great if you want to see Balos Beach. The #1 beach in Greece and #5 in the world. Wonderful little hotel in a perfect location right on the Venetian harbour. Everything one needs is within 2-min walk away. Good quality of beds for the price I paid. Slept like a baby. Will definitely stay here again when in Crete. Probably the cleanest and best run hotel in all of Crete. Owners are hands on and extremely helpful, friendly and hospitable. If you don't like it here, you probably don't like the real Greece. New private car park next to the hotel, 5 euro for 24 Hrs, excellent.First class cocktail bar on the roof with great views of Rethymno. Breakfast excellent value, they even had genuine Crete honey! Walking out the hotel entrance to the beach was one of the best features. Our stay in Chania was the best of our time on Crete.